Three point locking system for security. Raised base has "box" construction technique. Shelves adjust on 2" centers. 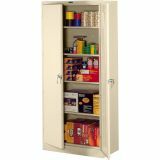 Tennsco Deluxe Storage Cabinet, 36w x 24d x 78h, Putty - 78" high deluxe storage cabinet features heavy-gauge steel throughout for maximum rigidity and trouble-free performance for heavy loads. Includes built-in shelf support and many different slots for shelves so you can adjust them in 2" increments. 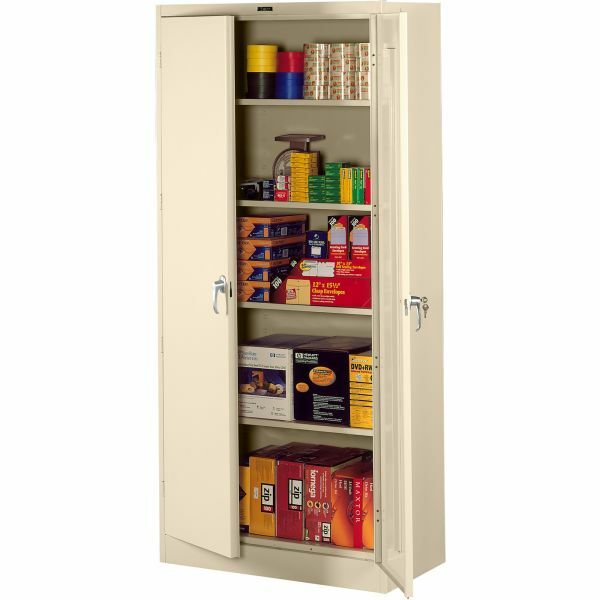 Reinforced door frames, three-point locking system and adjustable shelves ensure maximum security for even the bulkiest materials. Four knuckle-hinges on each door maintain door alignment. Two brushed chrome handles, with one that locks both doors, make door opening and closing easy. Built-in ventilation louvers on the back panel allow air circulation. Raised base keeps contents from contacting moisture on floor. Two adjustable levelers compensate for uneven floors. 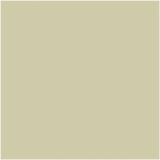 Durable powder-coat finish easily blends into any office environment. Shelf capacity is 400 lb. Knuckle hinges maintain door alignment.